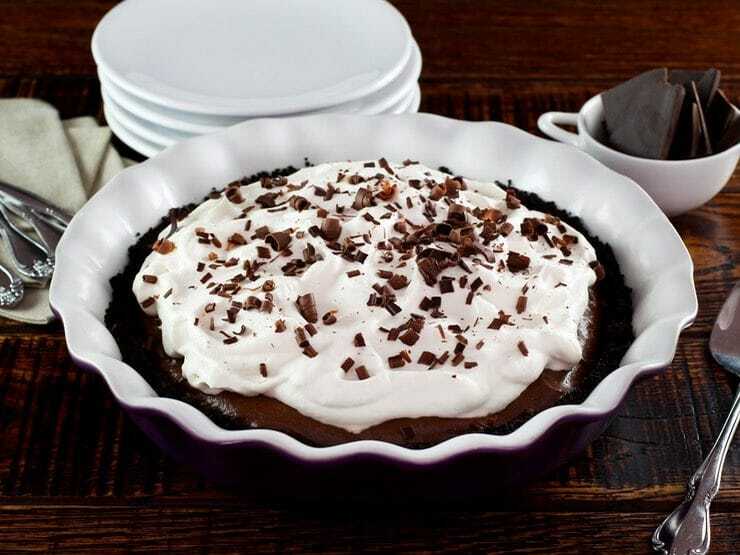 Lazy, warm weekends are the perfect time to enjoy cool, sweet icebox pies. 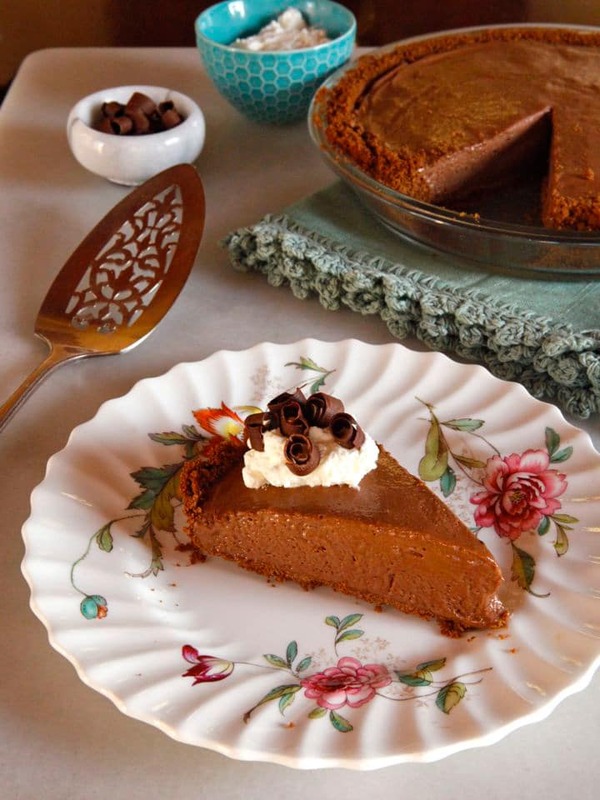 This vintage recipe for Mocha Pudding Pie is an easy and tempting no-bake dessert made with coffee ice cream, chocolate pudding, whipped cream and a cookie crust. 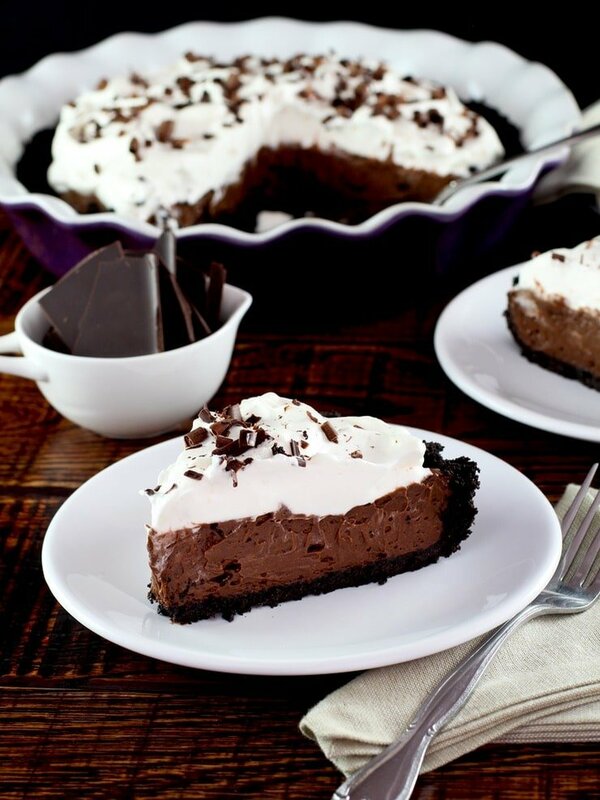 It doesn’t get much better than a creamy, cool icebox pie. I happen to be a pie fanatic (see my post – the history of pie in America). This has become a favorite pie in my home; I shared it on the blog a few years ago, and have recently updated it with a more detailed recipe and pretty new pictures (thanks Kelly Jaggers!). 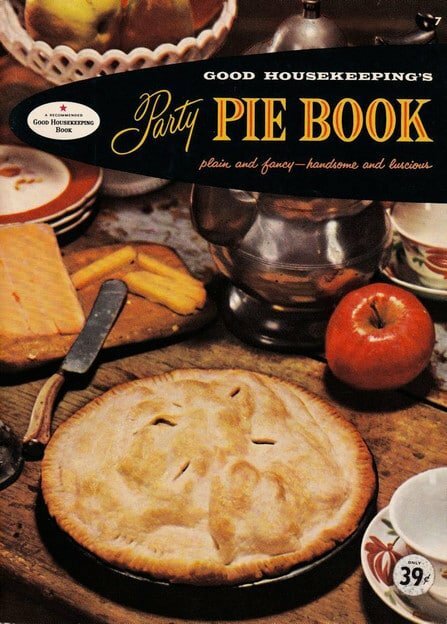 This recipe comes from one of my vintage cookbooks, an oldie but a goodie- Good Housekeeping’s Party Pie Book (published 1959 by Consolidated Book Publishers). In the book it’s called Coffee Pie. 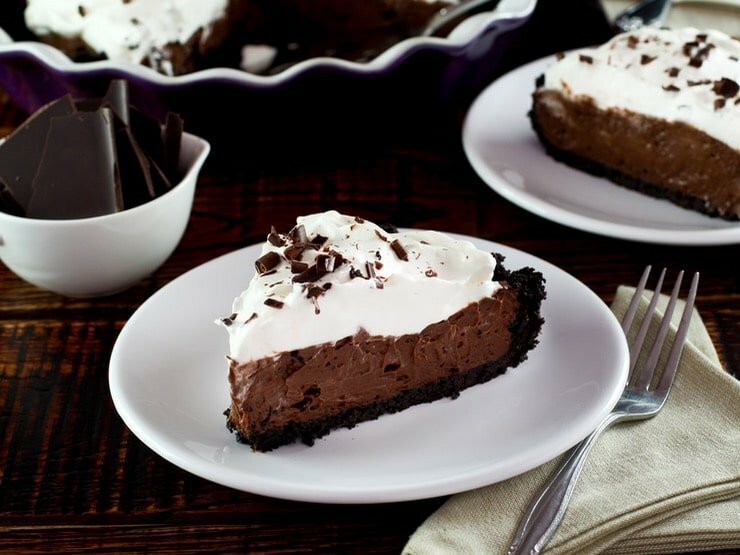 With chocolate being so integral to the overall flavor here, I call it a Mocha Pudding Pie. 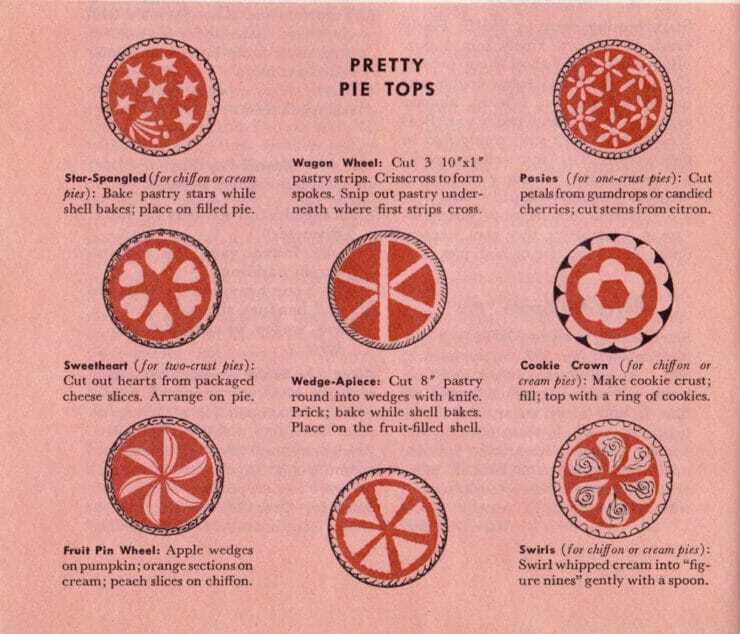 In true 1950s fashion, this pie recipe requires only a few prepackaged ingredients. I generally gravitate towards all natural, from-scratch recipes with local and organic ingredients, but during the 50s convenience items like instant pudding were all the rage in home kitchens. This recipe is reflective of that trend. The history of pie in America stretches back to the very first settlers, who had practical reasons for making them. Since they required far less flour than bread they could be cheaply baked, thus providing a sustainable food source for hungry immigrants. When pioneers began to travel west, finding land to claim as their own, pies began to reflect the regional differences of the areas where they settled. Pumpkin pies and pies sweetened with maple syrup were enjoyed in northern states, where Native Americas taught new settlers how to extract sap from maple trees. This particular recipe for Mocha Pudding Pie reminds me of a pie my father used to make for us growing up. He’d buy the premade chocolate cookie crust from the market and add a chocolate pudding pie filling. It was beyond simple, but I loved it. Another favorite treat of mine is coffee ice cream. This pie is the best of both worlds. 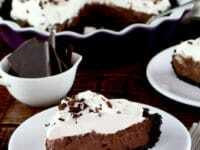 I have made this Mocha Pudding Pie quite a few times through the years. Each time, I made it with slight variations. I settled on the version here, a chocolatey pie with more coffee added for a stronger flavor. The result was creamy, dreamy and delish. This pie is really easy to make. Just make sure you use instant pudding, or your pie filling may turn into a soupy mess! I have also frozen this pie to enjoy a more solid, chilled texture. 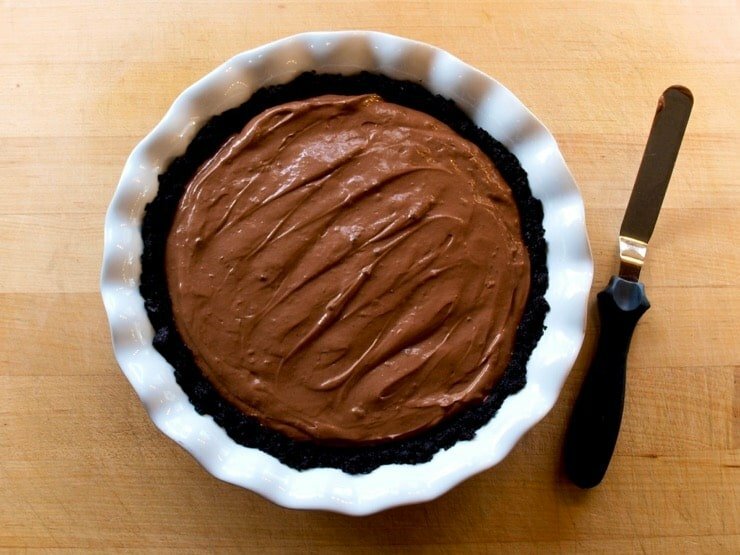 If you would rather have a softer pudding-like texture for the filling, you can refrigerate the pie instead of freezing. Enjoy! 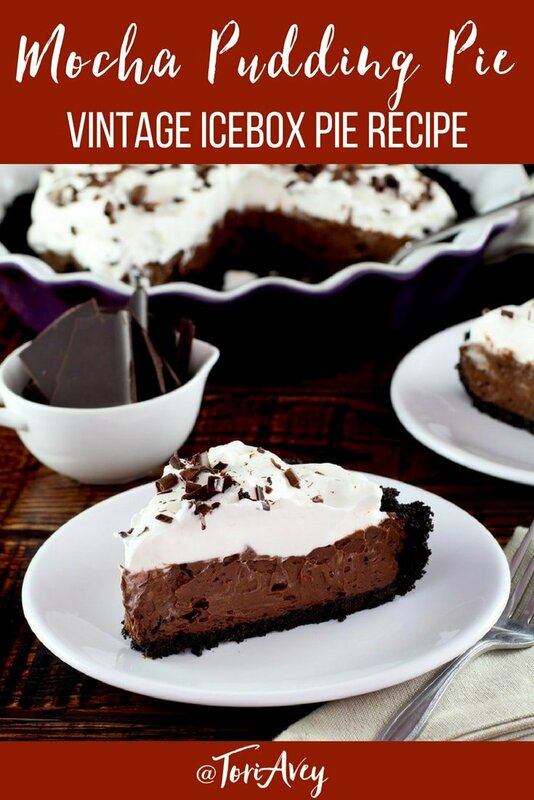 Coffee Mocha Pudding Icebox Pie - vintage recipe for a simple no-bake dessert with coffee ice cream, pudding and a chocolate cookie crust. 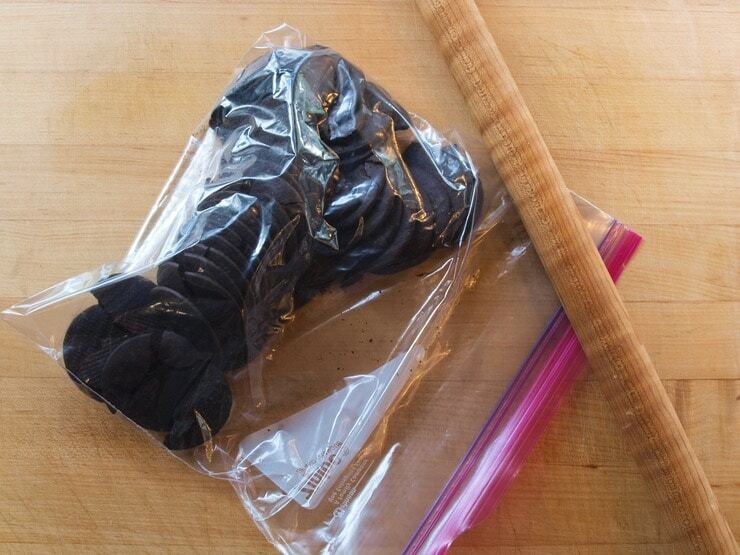 Place the chocolate wafer cookies in a resealable plastic bag and crush with a rolling pin until finely ground. 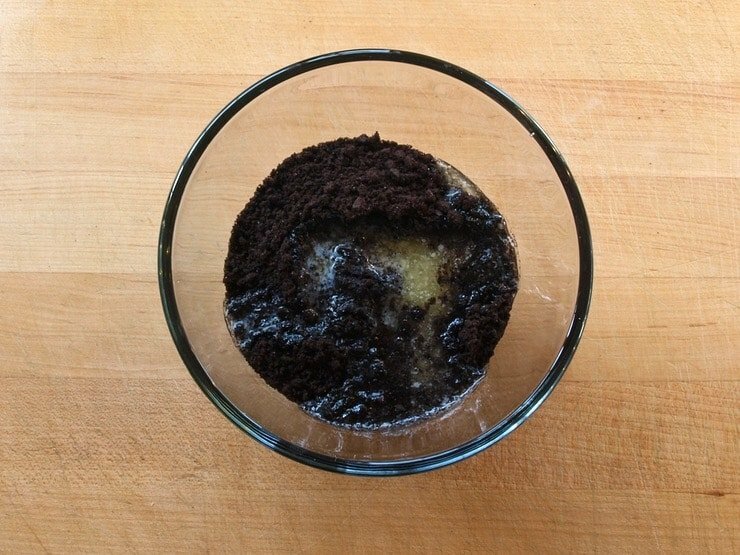 You can also do this in a food processor if you prefer. In a mixing bowl, mix the crushed wafers with the butter until well combined. 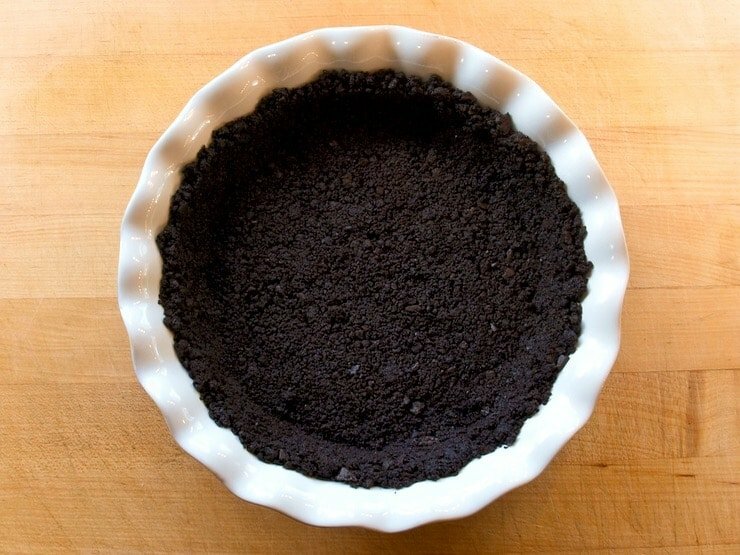 Using your hands or the back of a spoon, evenly press the chocolate wafer mixture into the bottom and sides of a greased 9 inch pie plate. Dissolve the instant coffee in 1/4 cup of hot water. 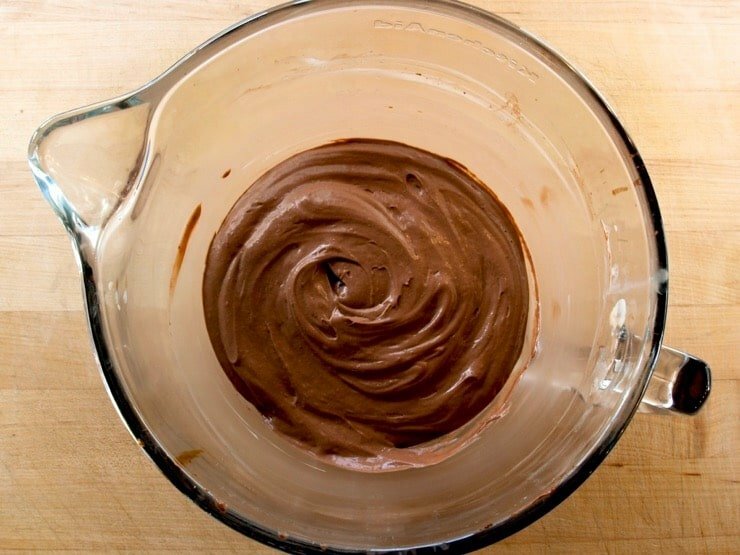 In a stand mixer fit with the whip attachment, or using a hand whisk, beat together the chocolate pudding mix and milk on the lowest speed until just combined. Whip in the instant coffee until incorporated. It will resemble thick chocolate frosting. Do not over whip. Add coffee ice cream and continue beating until just blended. The final result will be quite thick. Pour filling into pie shell. Smooth the top with a spatula. Refrigerate for at least 4 hours before serving (refrigerate overnight to let it firm up completely). You can also freeze it if you want a firmer pie, my stepdaughter loved hers frozen. Just don't freeze it for many days in a row, or the crust will start to crumble. Garnish with fresh lightly sweetened whipped cream and chocolate shavings, if desired. Serve cold. Planning to make this yummy looking pie for more than 8 people. Are there any issues making 1 1/2 times the recipe in a 10″ pie plate instead of a 9″ pie plate? Eager to try this pie–looks fabulous and it’s got my favorite flavors–and retro-easy is a refreshing plus! Hi Sasha, to be honest I’m not sure. I think it should work, but this recipe really relies on exact proportions and method to set up properly. Be sure to follow the recipe steps closely, and don’t over-beat the filling. Good luck! I used your recipes, vegan, gluten free, no eggs, for the Jewish holidays last year and to my surprise they were great. Cashew cheese was a real surprise. Now I will try some of your RoshHasahan recipes. Thanks for making what can be a real challenge easier. Happy holiday! That is great to hear Rochelle! But why surprised? 🙂 Here’s a link to my vegan holiday options: https://toriavey.com/toris-kitchen/recipes/rosh-hashanah/rosh-hashanah-vegan/ I am working to expand vegan options on the site for holiday entrees especially. This pie is amazing! Perfect mix of chocolate and coffee. And easy too! Finally got this pie to work. The new instructions solved the problem I was having. Beat on the lowest speed possible (KitchenAid mixer) until just combined. Also, I used Midel brand Chocolate Snaps for the crust. They make Ginger Snaps, too. I used a bit more than called for in the recipe, because I think the problem with the crust sticking to the pie plate was caused by the butter in the crust freezing and sticking. I figured that with more cookie in the crust it would be easier to get a slice out. Briefly soaking the pie plate in some warm water before serving would probably help, too. My pie turned out really thick and it didn’t set. Your recipe calls for two boxes of instant pudding. Is that 3.5 oz total, or each box for a total of 7 oz? I’m thinking it’s supposed to be the former, because I used two boxes (3.9 oz each) and when I added the milk, the pudding became a large ball. I thinned it with a little milk, to no avail. I’ll try it again but with only one box of pudding. It took it to temple for tonight’s oneg, and it was completely devoured. Also, I used good Jewish ice cream (Ben & Jerry’s Coffee Coffee Buzz Buzz Buzz). This looks so good! Will definitely try it. I have that little cookbook, too! I collect them. Chocolate and coffee – my idea of a dynamic duo. oh my goodness, this looks SO good! Why don’t you and Ree Drummond team up for an episode of her show? Shabbat shalom! Chag Purim Sameach!!! Swoon !! Shabbat Shalom !